In Quincy, Mass., the hometown of a Forefather of American democracy, the National Pork Producers Council argued against animal-rights groups that would deny due process to livestock and poultry farmers who want to have input into national fire standards that would affect their operations. NPPC urged the National Fire Protection Association (NFPA), which sets fire standards adopted by state and local governments and used by insurance companies, to continue working with the agriculture community to develop “sensible solutions” to address fires in animal housing facilities. 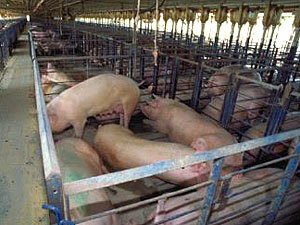 Animal-rights activists argued against allowing farmers to have a voice in the process. In June the NFPA’s full Technical Committee voted to amend a standard to require the instillation of sprinklers and smoke control systems in all animal housing facilities, including livestock barns, and to require quarterly inspections of those systems. The vote was contrary to a previous 19-0 vote against the amendment by NFPA’s Technical Committee on Animal Housing Facilities. After NPPC and a coalition of agricultural organizations appealed the proposed amendments, NFPA reversed its decision and agreed to work with stakeholders to determine fire risks in animal housing facilities and to develop practical solutions targeting the risks. The agricultural groups had concerns about the amended standard’s overbroad and impractical nature and the health and biosecurity issues that likely would arise because of its inspection requirement. They also admonished NFPA for initially failing to provide an adequate opportunity for stakeholder participation in the standard-setting process. “We’re outraged that animal activists want to deny the ability of farmers to have a voice in setting a policy that affects farmers,” Formica added separately.